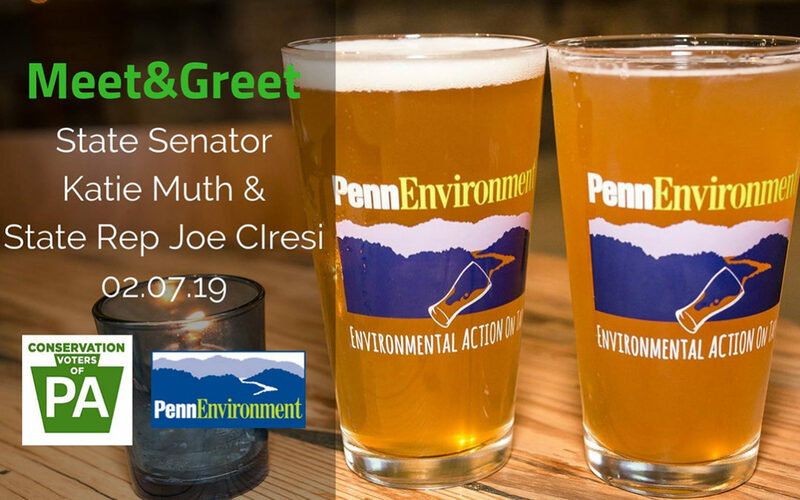 Join us at a meet-and-greet happy hour with newly elected State Senator Katie Muth AND State Representative Joe Ciresi! Meet your newly elected officials to hear about their environmental priorities, ask questions, and let them know how important bold environmental action is to their constituents! This is definitely an event you do not want to miss! All are welcome, so please feel free to bring friends and family — the more, the merrier!